Static Holiday Caravan to rent for holiday vacations in u.k.England. Holiday Caravans Lodges, Chalets to rent on Holiday Parks in the U.K and Overseas. HOLIDAY PARKS IN THE UK AND OVERSEAS . Holiday Caravans For Sale U.K.
Camber Sands, East Sussex. A fun filled holiday with something to suit everyone awaits you at Camber Sands! Set opposite 7 miles of award winning sandy beach, this truly lively park offers great facilities and sparkling family entertainment to keep you amused throughout the day and late into the night. The whole family will enjoy the heated pools and the all weather sports court. Children will love their own adventure playground, not to mention the fun and games of their own action packed club. Beautifully landscaped around a tranquil boating lake and set in the Northumberland national Park. On Ayrshire's west coast, sheltered by Arran, the head of Ayr and comforted by the Gulf steam. This campsite offers stunning views, excellent entertainment and a guaranteed hit with the family! Seton Sands Longniddry, East Lothian close to Edinburgh for easy sightseeing, a beautifully landscaped Park perfect for caravan and camping, sheltered beaches stetching for miles and top quality facilities. In the Pembrokeshire Coast National Park, with direct access to Tenby's South beach - walking or sunbathing, it's the perfect location for a camping holiday. Lydstep Beach in Pembrokeshire holiday Park Award-winning Lydstep Beach nestles in the beautiful and peaceful Pembrokeshire National Park. Enjoying breathtaking views over tranquil countryside yet boasting a fun-packed Blue Flag beach on the doorstep. Facilities on park includes indoor pool entertainment venue cafe bar and sporting activites. A big Park in every way, South facing, set in landscaped parkland, with its own sheltered sandy bay. The big indoor pool with flumes and slides is an outstanding attraction, on a great holiday coastline. Reighton Sands Yorkshire Lincolnshire Perfect for a relaxing family holiday Reighton Sands boasts a stunning clifftop setting overlooking a sandy beach and commanding beautiful views of the bay below. Together with enjoying excellent facilities you are ideally located for exploring East Yorkshire' glorious coastline. Near to Filey and close to Bridlington and Scarborough wonderful scenery popular tourist attractions picturesque villages and charming coastal towns abound. This huge, cliff-top Park is loved by walkers for its great location on the Cleveland Way coastal path and by families for is awesome energy and non-stop entertainment. With fantastic pools, buzzing nightlife and lively resorts nearby as well as the attractions of the North York Moors, Blue Dolphin ticks all the boxes for a memorable holiday. Recently extended and developed, Primrose Valley is the Park with everything. Complete with a multi level heated pool complex, excellent facilities, sport activities and non-stop entertainment, you'll be totally spoilt for choice. All close at hand and just waiting to be explored. Where will you start? Exhilarating views straight out over the sea, a stunning sandy bay, a heated indoor pool - the checklist is endless. If this isn't enough to keep you occupied, why not take a trip to Whitby, one of the most attractive towns on the English Coast, or visit Eden Camp with its World War II museum? 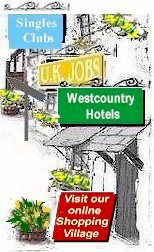 Your first choice for great vacations in good locations in the U.K and over seas. Choose from a busy park full of all amenities or a quiet park with relaxing nature walks. Static Self Catering Holiday Caravans, Chalets and Lodges on and off caravan holiday parks. Ideal for family self-catering holidays all year round, Winter, Summer, weekends, half term or just a short break !